Clint Bowyer returns to short-track racing Sunday at Bristol (Tenn.) Motor Speedway with the same No. 14 Haas Automation Demo Days paint scheme, same crew chief and same pit crew that propelled him to victory March 26 at Martinsville (Va.) Speedway when the Monster Energy NASCAR Cup Series last raced on a track less than a mile in length. But there’ll be a missing component when the Stewart-Haas Racing (SHR) driver takes the green flag on the .533-mile, high banked oval in East Tennessee hoping he can win his second and SHR’s fifth race of the first nine races of the 2018 season. Bowyer hasn’t won at Bristol, but he’s often near the front when the checkered flag falls. He owns seven top-five finishes and 11 top-10s and has led 137 laps in 24 starts. He finished second in this race in 2017, trailing winner Jimmie Johnson across the finish line by 1.199 seconds. He started fifth in the final stage of the August race at Bristol but handling issues and an unsuccessful gamble left him with a 19th-place finish. For Bowyer to earn his 10th career Cup Series victory he’s going to have to outrace about 36 other cars, plus survive on the treacherous high-banked short track on which lap times normally run less than 16 seconds. “There is no way to describe 500 laps at Bristol,” said Bowyer’s, whose No. 14 Ford will sport the identical paint scheme it wore in Martinsville featuring Haas Automation, the largest CNC (computer numerically controlled) machine-tool builder in North America. Despite the challenge, Bowyer said Bristol remains one of his favorite races of the season. He said there is an atmosphere unlike no other track on the circuit. 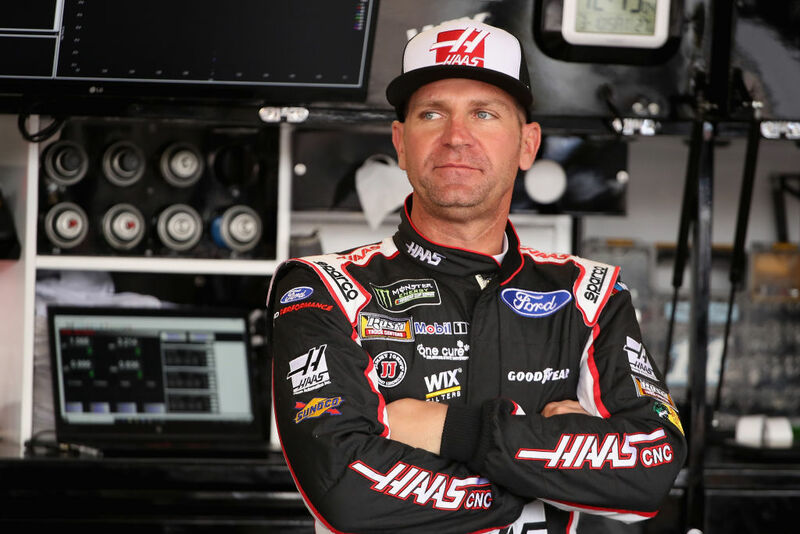 Bowyer arrives at Bristol still on a high after winning at Martinsville, then following with a ninth-place run at Texas Motor Speedway in Fort Worth last weekend. After starting third at Texas – his best qualifying effort of the season – Bowyer ran in the top-five most of the race until he was shuffled out of the pack on a late-race restart. He ran out of laps before he could regain the lost spot. It’s been a stellar start to the season for SHR’s four Ford teams. In addition to winning four of seven races, all four Fords are in the top-12 – three in the top-eight – in the season standings. SHR has led 850 of 2,145 laps run. Why the strong start to 2018 for all the SHR Fords?